Today marks the end of an era for Volvo Cars as production in Sweden of the iconic XC90 – a car that revolutionised the global SUV sector – comes to an end after 12 highly successful years. The story began on 7 January 2002, when Volvo Car Corporation launched an eagerly awaited new model at the Detroit Motor Show. 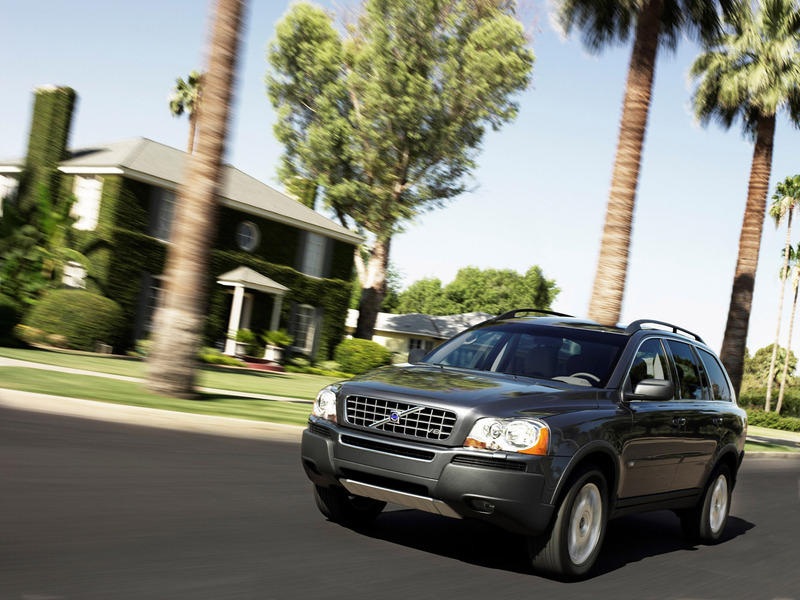 It was a car that dealers and customers principally in America had been yearning for – the Volvo XC90. A car that would be awarded more than 100 international distinctions, including "SUV of the Year" as early as 2003, and that was named Sweden's most valuable export product, with an annual export value of more than SEK 40 billion in the peak years. 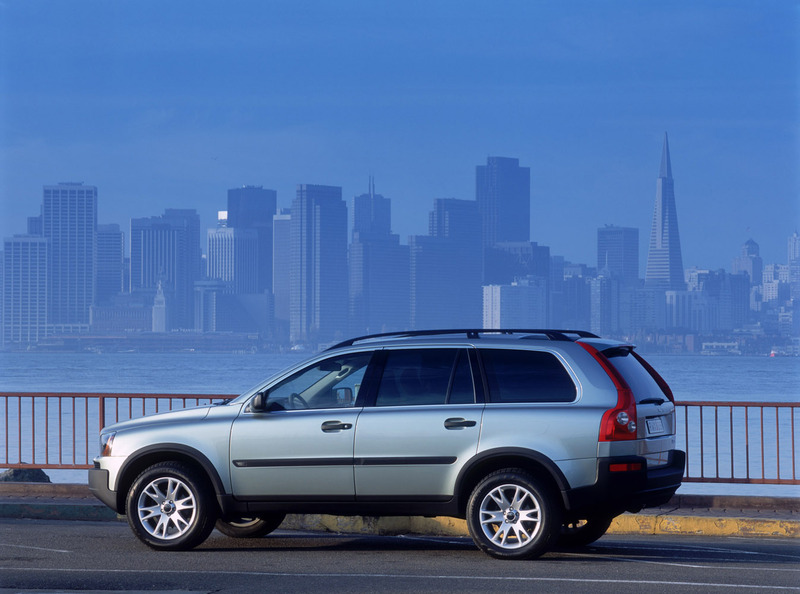 Before sales started in 2003, Volvo's dealers had already received 15,000 orders. But all good things must come to an end. After producing 636,143 XC90s, a legend of the car world will leave the factory in Torslanda today to make room for the next generation of the XC90. 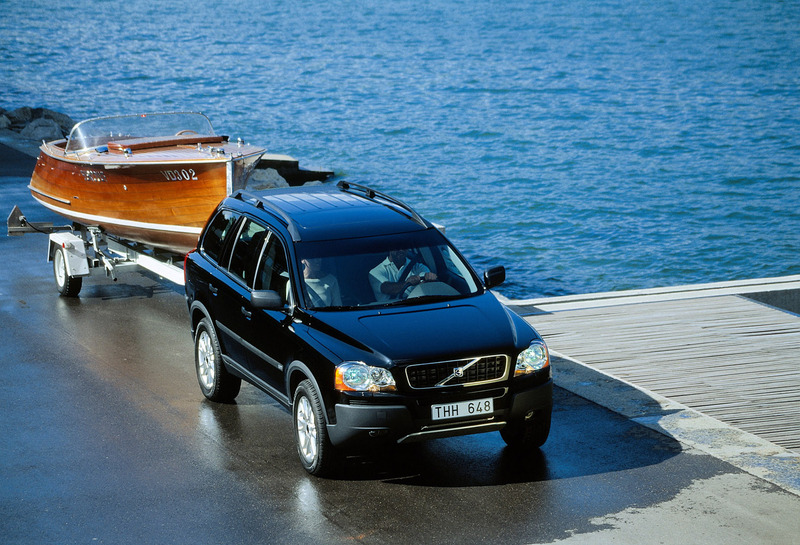 The last XC90 made in Gothenburg will be driven directly to the Volvo Museum, also located in Gothenburg. However, production of the current XC90 will continue in Volvo's new car plant in Daqing later in the year, under the name of Volvo XC Classic, which will only be sold in China. 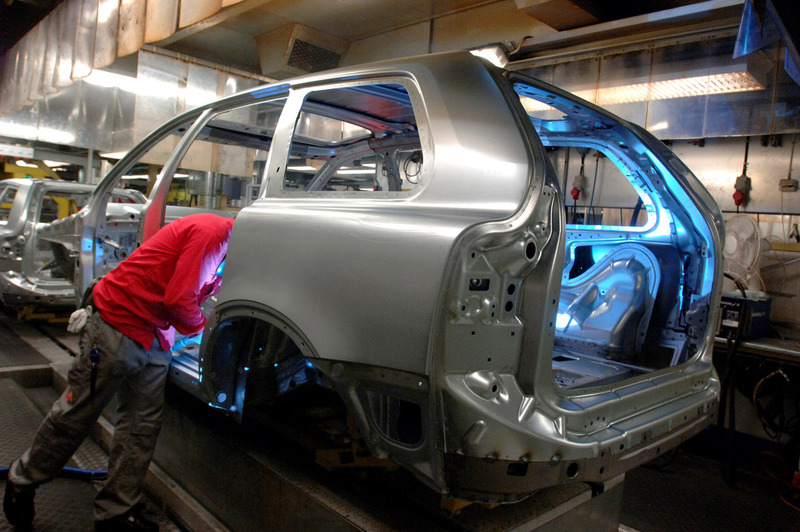 The all-new Volvo XC90 will also be produced in the Torslanda factory. The car, which will be revealed in August, will start production at the end of January 2015. Hans-Olov Olsson, who is currently the Vice Chairman of Volvo Car Corporation's Board of Directors, was responsible for sales in the USA at the end of the 1990s. In 1998, he succeeded in convincing the company's then CEO, Tuve Johannesson, that the company should invest in an SUV. In August 1998, Volvo Cars project director Hans Wikman was commissioned to develop a proposal for a modern, 7-seater SUV that was not too large. 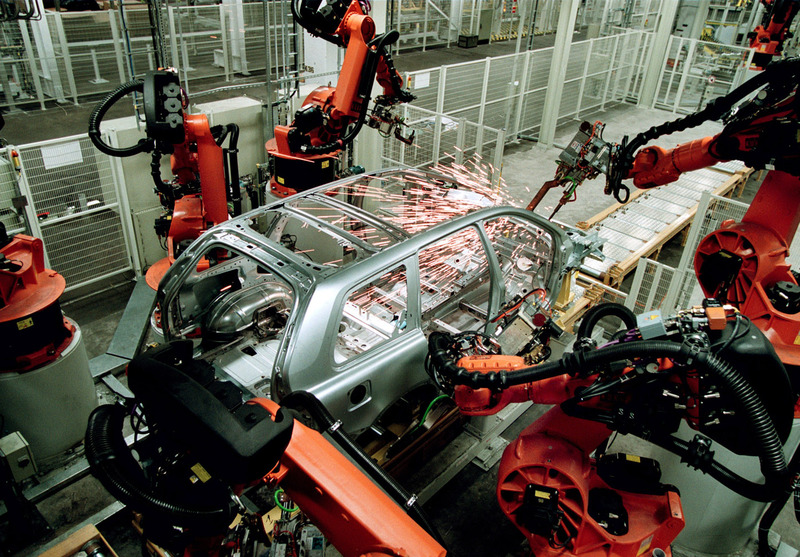 The car project was named P28, was to be based on the same platform as the Volvo S80 and should be launched in 2002. The aim was to sell 50,000 cars a year, a goal that would be beaten by a clear margin – during the peak years 2004-2007, around 85,000 cars were sold each year. The USA has been the largest single market for the XC90, with record figures achieved in 2004 (38,800 cars sold) and 2005 (36,200). At the same time as drawing up three design proposals, two in California and one in Gothenburg, a female reference group was brought together in California, including Swedish actress Maud Adams, to contribute their wishes and comments, as American women would make up a large proportion of the intended target group. The 4th of May 1999 was an important day for the project. 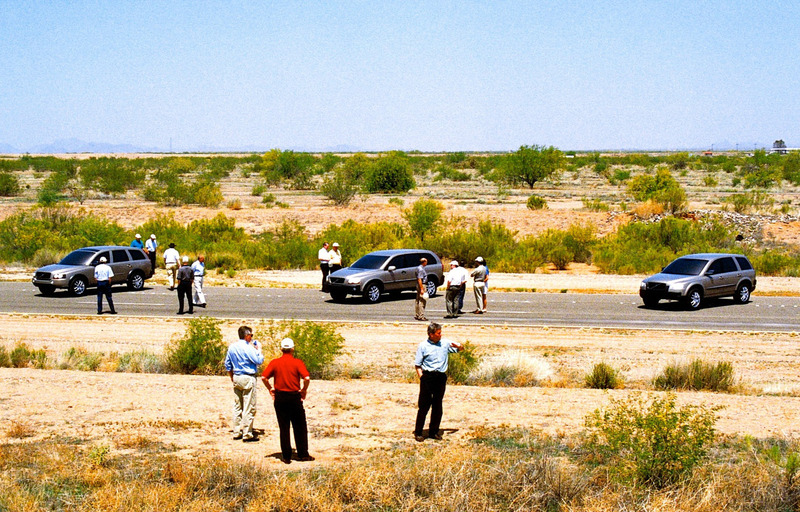 In temperatures of 41°C, the three design proposals were presented at Volvo Cars’ test track outside Phoenix, Arizona. Senior management and some members of the future project management attended the gathering, with the aim of reaching agreement on the focus of the design. The winning exterior proposal was designed by Doug Frasher from Volvo's Concept & Monitoring Center in California, who also designed the exterior of the Volvo S80. "Everyone in the project team was a little tense. After all, the SUV programme had been put on ice a couple of times before. We now had our fingers crossed that the design and the planned content would be good enough so that the management would approve it with no reservations. And that is exactly what happened." 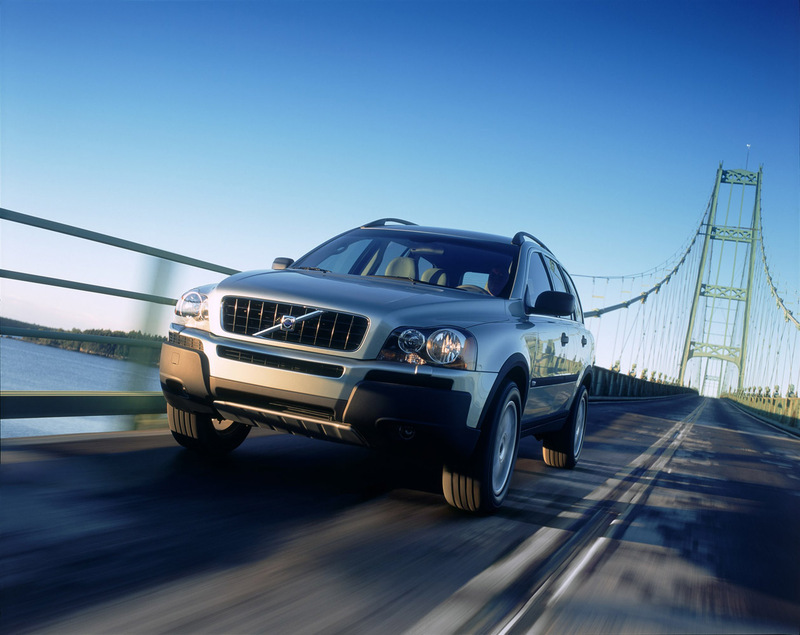 However, many critics felt that Volvo Car Corporation was entering the SUV segment too late in 2002. However, the XC90 came to be a shot in the arm for the entire segment by resolving many of the problems experienced in earlier SUVs. The potential to create a flat cargo floor behind the front seats; Driving properties equivalent to those of a regular car; Leading fuel economy within the segment. RSC (Roll Stability Control), a system that uses a gyro sensor to detect and counter the risk of overturning, and ROPS (Roll Over Protection System) to optimise the protection for everyone in the car in the event that, despite everything, it should still overturn. Inflatable side curtains for all three rows of seats. An integrated, adjustable booster cushion for children in the second row. Seat belts with "tensioners" for all seats. A lower crossbeam at the front, which had the task of activating the car's safety systems in the event of a collision. More than a decade later, the American Insurance Institute for Highway Safety (IIHS) still ranked the XC90 as one of the safest cars on the market by naming it the 2014 Top Safety Pick+. 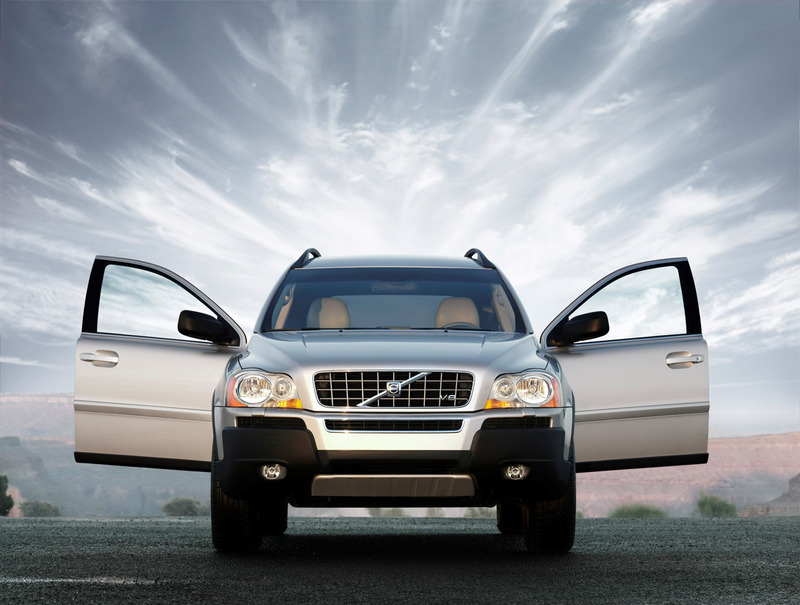 The Volvo XC90 was launched with a range of five and six-cylinder engines. 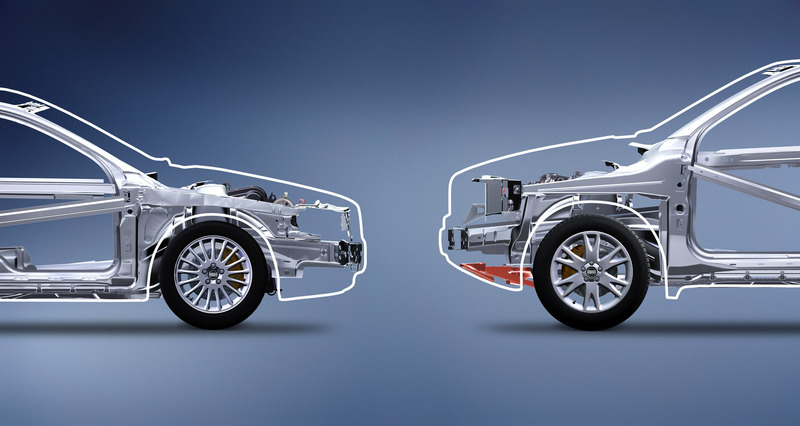 All were transversely mounted in accordance with Volvo's powertrain concept. In 2004, the range was extended with a powerful, transversely mounted V8 engine made of aluminium, which was combined with a six speed automatic gearbox. 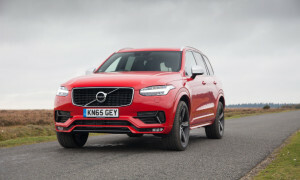 "We have learnt a great deal from the first generation XC90"
Now the first generation XC90 will make room for the next, a car that has made advances in terms of development and content at least on a par with the first. "I am convinced that our customers will be very pleased," says Dennis Nobelius, who is primarily responsible for the all-new XC90. "We have learnt a great deal about the important holistic approach for everyone in the car, when it comes to following up this success." “Our all-new XC90 is not just a natural development from an incredibly successful car, it is also an excellent example of the transformation underway at Volvo Cars, both within the company and from a brand perspective,” says Lex Kerssemakers, Senior Vice President Product Strategy & Vehicle Line Management at Volvo Cars. “We look forward to a new era of success.